Heralding in the New Year. Little video I just uploaded to my Flickr album. Letters changing colors. 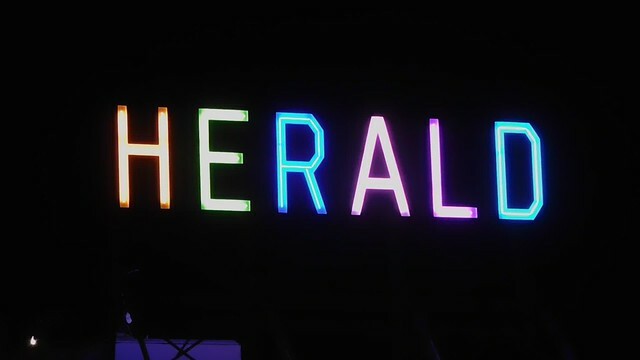 Another feature of the "new technology" Herald sign.